Video: 2014 Chevrolet Camaro Z/28 going for ‘Ring record? Chevrolet has been spotted testing a prototype version of the hot new 2014 Chevrolet Camaro Z/28 performance model around the Nurburgring . The new variant was unveiled at the New York Auto Show last month. It’s expected to be the quickest production Camaro to ever lap the circuit. The Z/28 is a unique performance-oriented nameplate in Chevrolet history. It’s attached to more focused, powerful, and often lighter weight versions of the standard car. 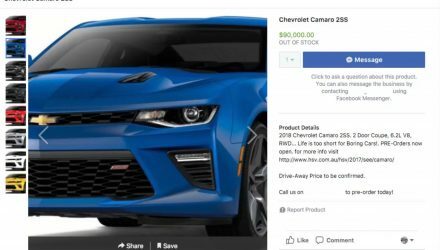 In this case, the new Z/28 may not be more powerful than the current range-topping 432kW Camaro ZL1, which features a supercharged 6.2-litre V8, it will be the company’s quickest Camaro around a track though. In fact, it has already posted a lap time three seconds quicker than the ZL1 around Chev’s testing facilities. 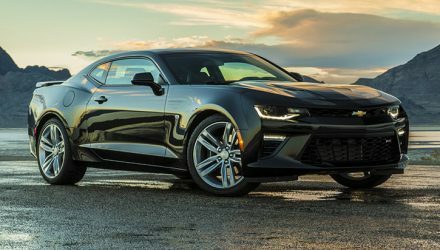 Part of the performance comes from a more serious suspension setup over the ZL1, more aggressive aerodynamic features, and a weight reduction of 136kg. 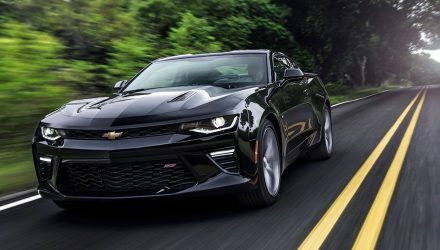 Under the bonnet, the Z/28 comes with a whopping 7.0-litre naturally aspirated V8 engine producing “at least” 373kW, according to General Motors, and is set to rev all the way out to 7000rpm. Tasty engine highlights include a forged crankshaft with a 11.0:1 compression ratio, titanium valves and conrods, and a K&N air filter. One of the biggest questions on everyone’s mind is whether the new model will be quicker than the ZL1 around the Nurburgring. The ZL1 has previously recorded a lap time of 7:41.27. Click play below to see how it handles around the famous ‘Ring, and have a listen to that V8 soundtrack. Official lap time data and further details are expected soon.